Nearly 15% of diabetics will develop diabetic sores. These skin ulcers are also known as “diabetic foot ulcers” because they most often appear on the feet; however, they can develop anywhere on the lower body. These sores usually appear due to poor circulation or improper and slow function of the veins, a condition also known as venous stasis. If untreated, sores can give rise to complications that can be as serious as an infection. This infection can lead to amputation of the afflicted toes or foot. Proper care and attention is vital to help avoid complications. When diabetes is present, so is high blood sugar, and this is a problem that weakens the heart and vascular system, leading to poor circulation in the feet and legs. The skin on the feet and legs become weak and susceptible to injury – especially open wounds, aka ulcers. Alcohol, tobacco use, obesity, heart disease, and kidney disease are just a few factors that increase the risk of these ulcers. Poor-fitting shoes can also cause blisters on the toes and sole of the foot that can worsen quickly. High blood sugar suppresses immune response, so infection can create complications. For a person who has diabetes, checking their feet and legs every day for new or developing ulcers is critical. Early detection and daily care are absolutely mandatory to ensure quick healing and avoiding serious problems. Many people also report that washing and moisturizing their feet daily, giving their feet air and changing their socks regularly, wearing comfortable shoes, changing bandages often, and using products that cleanse the skin and deter bacterial and fungal growth are excellent measures for daily preventative care. Not only can having diabetes lead to ulcers, it can make it very difficult for the ulcers to heal. In fact, amputation of the toes and feet is a very real end result for many people – about 15%. This underscores the absolute vital importance of daily care and attention. When a wound begins to develop, keeping the area clean is priority one. 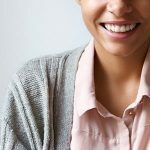 Beyond that, I recommend using natural salves to encourage wound healing as they are safe and without the side effects you’ll find in a lot of harsh, unnatural products. Natural, raw organic honey (not the processed stuff) is one ulcer remedy that works great. Researchers have found bandages and dressings soaked in natural honey keep wounds clean, speed healing, and even help to avoid amputations. Olive oil also improves the speed and quality of healing without side effects. Colloidal silver and Chinese herbal applications have also been shown to have positive effects for encouraging fast healing. One of the most effective methods to keep wounds clean and speed healing is to deliver oxygen right to the affected area, and one of the best ways to do that is with ozonated oils. 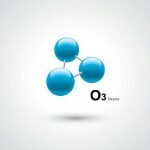 Research shows increasing oxygen stimulates your skin’s natural healing power. Plus, it soothes nerves in the affected area and reduces discomfort, swelling, and redness. When an ozonated olive oil like O2-Zap® was applied to a deep wound it produced faster healing and reduced wound size compared to oil alone. In my opinion, O2-Zap® is an excellent natural skin solution for a variety of skin concerns. We’ve received great feedback from people who’ve used it as a natural remedy for diabetic sores and ulcers. Have you experienced the positive effects of ozonated olive oil or have another tip for dealing with diabetic sores and ulcers? Please leave a comment and share your story with us. American Podiatric Medical Association. 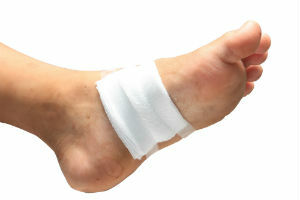 Diabetic Wound Care. American Podiatric Medical Association. Makhdoom A1, Khan MS, Lagahari MA, et al. Management of diabetic foot by natural honey. J Ayub Med Coll Abbottabad. 2009 Jan-Mar;21(1):103-5. Nasiri M1, Fayazi S1, Jahani S1, Yazdanpanah L2, Haghighizadeh MH3. The effect of topical olive oil on the healing of foot ulcer in patients with type 2 diabetes: a double-blind randomized clinical trial study in Iran. J Diabetes Metab Disord. 2015 Apr 29;14:38. doi: 10.1186/s40200-015-0167-9. Valacchi G1, Fortino V, Bocci V. The dual action of ozone on the skin. Br J Dermatol. 2005 Dec;153(6):1096-100. Masaru Sagai and Velio Bocci. Mechanisms of Action Involved in Ozone Therapy: Is healing induced via a mild oxidative stress? Med Gas Res. 2011; 1: 29. Published online 2011 Dec 20. doi: 10.1186/2045-9912-1-29. Kim HS1, Noh SU, Han YW, et al. Therapeutic effects of topical application of ozone on acute cutaneous wound healing. J Korean Med Sci. 2009 Jun;24(3):368-74. doi: 10.3346/jkms.2009.24.3.368.